Your fave iCarly episodes (over 15 in total!) packed into a three-disc collection from Nickelodeon! 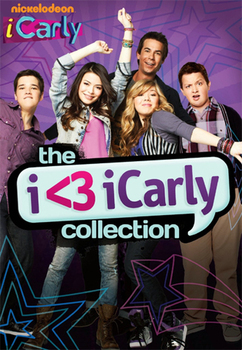 Check out the I Love iCarly Collection right here on Kidzworld! iFight Shelby Marx: Will Carly get beat up when martial-arts champ Shelby Marx comes to visit? iDate a Bad Boy: Carly starts dating Griffin, who tried to steal Spencer’s motorcycle. iLook Alike: Carly, Sam and Freddie get lookalikes to stand in for them while they do an interview. 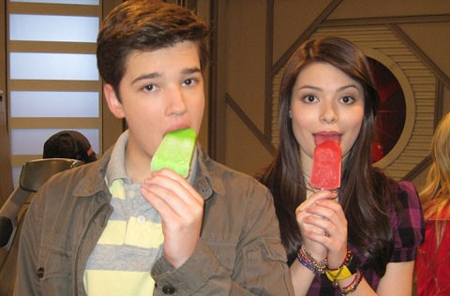 iCarly Awards: Carly, Sam and Freddie present awards to their most unusual fans. Special features: Behind-the-scenes extras and a bonus episode of Big Time Rush! iSaved Your Life: Freddie saves Carly’s life and risks his own in the process. iQuit iCarly: The iCarly gang meets Fleck and Dave, the two kids who run the "Fleck and Dave Show." iThink They Kissed: Carly discovers that Sam and Freddie shared a secret kiss. iTwins: Sam’s twin sister, Melanie, visits from boarding school. iMove Out: Freddie gets his own place. iSpace Out: A billionaire asks Carly, Sam, & Freddie to put on the first live web show from outer space. iWas a Pageant Girl: Sam admits to her friends that she was a former child beauty pageant contestant. iEnrage Gibby: A misunderstanding causes problems between Freddie and Gibby. iFix a Popstar: Carly, Sam and Freddie have to rehearse with Ginger Fox, a talentless, shrewish popstar. 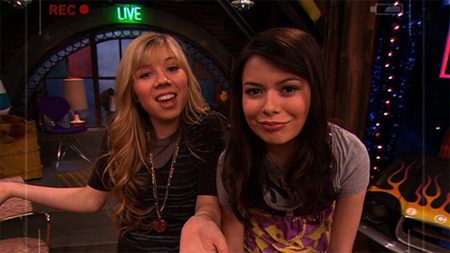 iWon’t Cancel the Show: Freddie learns that Sam is in juvie, and will not get out in time to do iCarly. iBelieve in Bigfoot: Carly tries to prove there's a Bigfoot creature after Bigfoot fever hits Seattle. Special features: Trivia and a bonus episode of Victorious! Predict which track you'll like best!